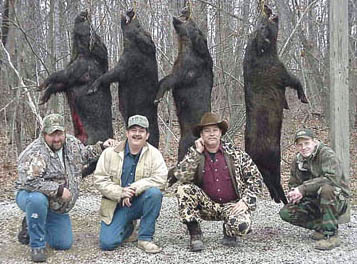 Welcome to Tennessee's Best Boar Hunting! Thanks for visiting the Tennessee Boar Hunting web site. We are now offering free range wild boar hunting as well as guaranteed opportunity boar hunts on over 2,600 acres. And, in addition to our boar hunting opportunities we also offer fair chase whitetail deer hunting and deer and boar hunting combination hunts. Dates are already filling up for the 2014 - 2015 hunting seasons and some weekends are already at or near capacity. Please reserve your hunts as far in advance as possible to ensure we have openings on the dates you prefer. Our hunts take place in the scenic Cumberland Mountains of middle Tennessee. Hunters have the option of staying in our beautiful and comfortable lodge or camping here on our property. 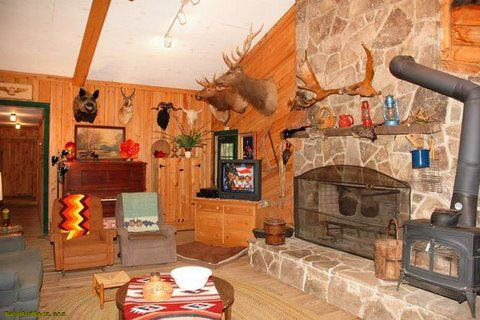 Our lodge is ideally located for hunting or gatherings where solitude and comfort are desirable. The beautiful mountain scenery is rugged and breathtaking. Although our lodge is primarily used for guests of our boar hunting operations, it is also available to rent for Corporate, Family or Spiritual Retreats for up to 20 people. We are also establishing trails for private ATV and horseback riding retreats. What's New TN Boar Hunting? Check out this short video below from a March 2010 Tennessee Boar hunt I guided. Or for the hunting video plus info about that boar hunt click here.